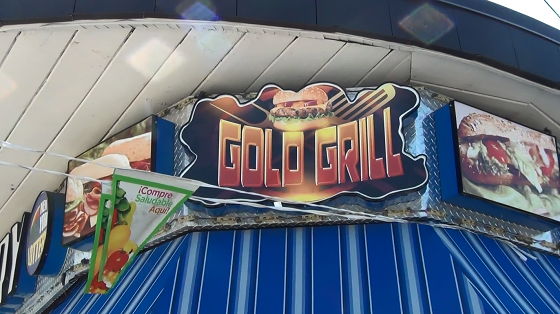 Gold Grill Deli Grocery is located at 1226 E Gun Hill Road in the Bronx. On nearly every corner in the Bronx, you can find a bodega. They are an important source of food and beverages for many Bronx residents, as there are a lack of full-service grocery stores. Seeing the importance of bodegas in many communities, Patricia Tejeda, a frequent bodega patron, wanted to have her own store, but wanted to set herself apart from other bodegas. Patricia wanted to offer her customers healthier options as she knew that there were many people living in her community who struggled with obesity and related issues such as diabetes and hypertension. Patricia bought a bodega on the corner of Pearsall and Gun Hill Road in the Eastchester section of the Bronx named “Gold Grill Deli Grocery.” The area had a number of stores and fast food restaurants selling less healthy food and Patricia wanted her customers to not only have their everyday items, but healthier versions of those items. Patricia knew that in order for her to meet her goal that she needed to identify the healthier options customers would purchase while ensuring the profitability and sustainability of her business. As a new business owner, Patricia faced numerous obstacles. At times, these obstacles made her feel as if her efforts were not making a difference. The major obstacles requiring her attention included: Obtaining the appropriate licenses and fixing and replacing broken equipment; along with some minor changes such as improving the store lighting, getting rid of expired food, and improving the placement and storage of perishable foods. After working to overcome these challenges, Patricia shifted her attention to the next piece of the puzzle — increasing the availability of healthier food and beverage options at her store and offering them at reasonable prices. Read more about the success of Gold Grill Deli Grocery here. Watch Patricia share her story in the video below.